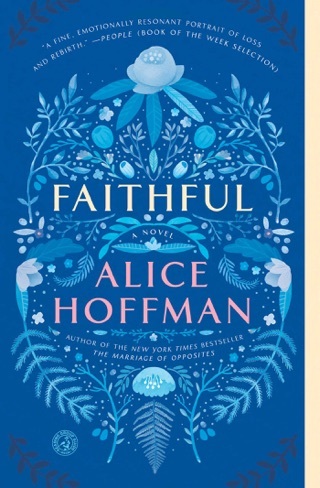 In this dazzling follow-up to her 1995 bestseller Practical Magic, Alice Hoffman returns to the Owens family, who are still wrestling with the dubious gifts and mortal responsibilities bestowed by their inherited magical powers. 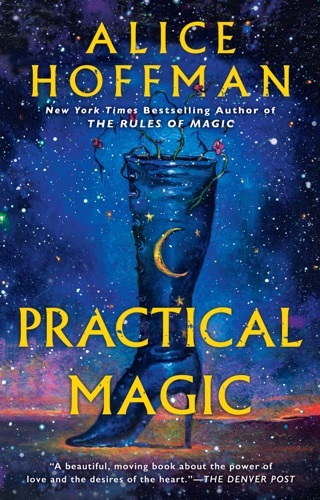 With a cast of unorthodox and wildly compelling characters, not to mention an endlessly entertaining plot, The Rules of Magic is a prequel that stands easily on its own. 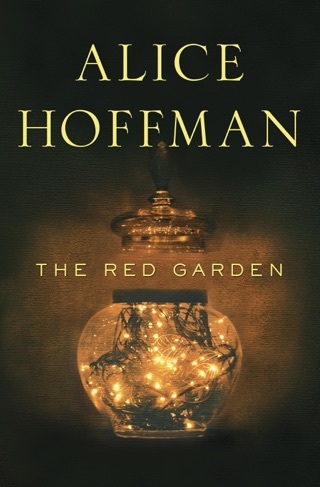 Hoffman tackles a host of classic themes—love, destiny, family history—in whimsical, wise, and utterly unexpected ways. This book will tear you to pieces. It will break your heart, leave you speechless, and leave you wanting more. 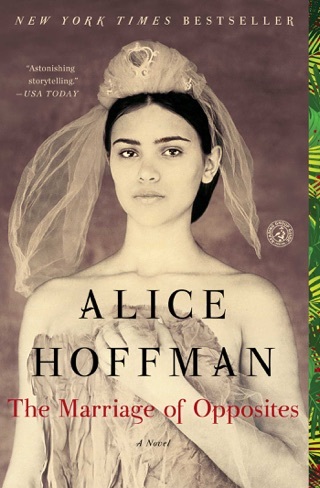 Although I felt a great amount of pain, it is a book I will highly recommend. Not a lot of books will make you feel, not a lot of books will make you the power of sadness, magic, and love. 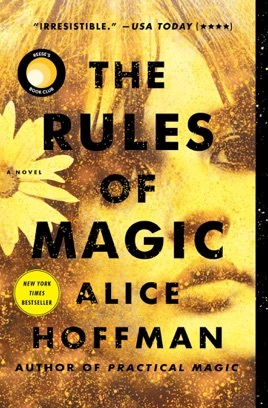 The Rules of Magic by Alice Hoffman is a prequel to Practical Magic. 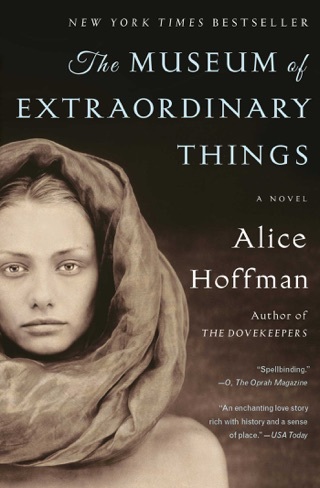 The Owens family has a long magical heritage, but their family was cursed in 1620. Vincent, Franny and Jet Owens are the children of Susanna and James Owens. Susanna denies her magical heritage and has many rules in place for her children. 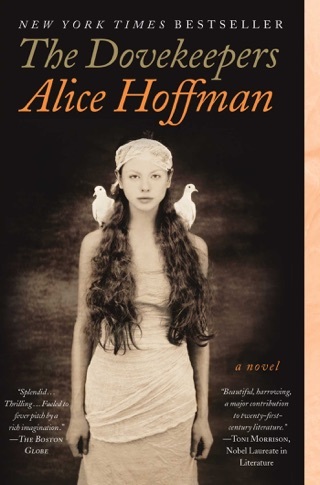 One day when Franny turns seventeen she receives an invitation from her Aunt Isabelle. They three siblings are invited to Massachusetts for the summer to learn about their heritage and their gifts. Vincent, Franny and Jet set out to escape the family curse to find happiness and love. Is there a chance for them to find the love and keep it? Find out what happens Vincent, Franny and Jet before Sally and Gillian enter their lives in Practical Magic. The Rules of Magic can be enjoyed without having read or watched Practical Magic. I found The Rules of Magic to be boring (sad, but true). It seemed like every single thing the author had read about witches (or thought of) was stuffed into this story. The best way to describe it is too “woo-woo” (best description for it). The teens in the story go out of their way to break every rule set forth by their parents and do the opposite of what they are supposed to do. The characters kept repeating the same mistakes over and over throughout the book (even as adults). I found the main characters (Jet, Franny, and Vincent) to be unlikeable. It seemed that the author was trying too hard with The Rules of Magic. I thought the pacing was inconsistent. It would go along at a nice pace (in the beginning) and then slow down to a crawl (it plodded along to the end). I found it a chore to read The Rules of Magic. There were a couple of bright spots, but they were few and far between. I’ve already recommended the book to two people.